Kiaora, Witam Cię, Laipni lūdzam, Talitali fiefia, 환영합니다 hwangyong-hamnida, 歡迎光臨 [欢迎光临] (huānyíng guānglín), Fàilte / Ceud mìle fàilte, Afio mai,Welkom, Welcome to all our families and friends. A very warm welcome to LC2's blog for this year. The blog will be one of the ways we document our learning journey so please check in regularly and leave us a friendly comment if you can. Day one was a major hit with our students. Students had the opportunity to work around the spaces getting to know one another. We then enjoyed a water slide, a tradition at Hobsonville Point School it seems, helping students to build friendships and have fun together. Thanks Daniel and Lisa for the yummy sausage sizzle. Our dispositional focus has been 'Can we manage our time and resources?' as the children embark on planning and managing their day. Come and have a look at your child's Planning Folder and ask them to talk you through how their planning works. We have been very proud of how the children are managing this so far. The children have been presented with a range of learning experiences over the past two weeks and have already had the opportunity to follow their interests and direct their learning. tree. This has provided opportunities to discuss, negotiate, imagine, create, play and learn with their friends. Learning looks like, sounds like and feels like. Imaginary Friends - Sharyn led a workshop where the children were invited to create an imaginary friend using a range of resources from the beach. This has led to character descriptions and designing and making a home for them. One of our breakout spaces is a hive of activity so pop in and have a look! our facial features in preparation for drawing a self portrait. We have been collaborating with a friend to play maths games that involves addition to 20, 30 and 50. We have been brainstorming what we want our outside space to look like. 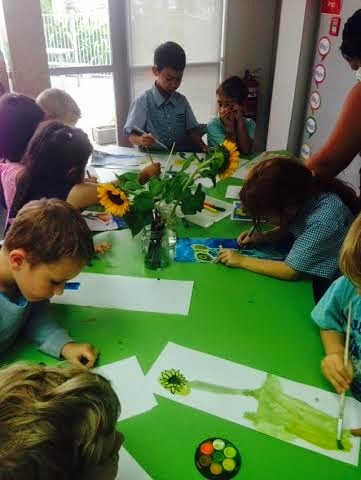 We practised using water colours to paint these beautiful sunflowers. We have started to explore Statistics. 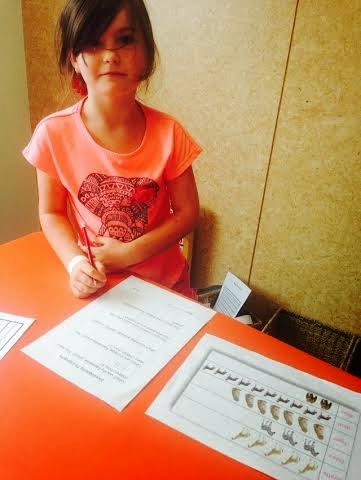 So far we have practised reading information from a pictograph and had a go at making our own. 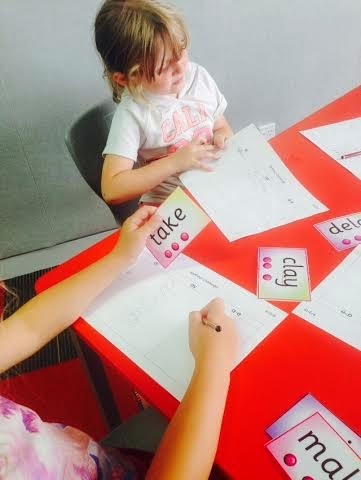 We have been investigating words that have ay, ai and a-e and seeing if we can come up with a rule for each grapheme. Another focus has been investigating nouns and adjectives to support our descriptive writing. Please encourage your child to go on a hunt for nouns and adjectives when they are reading at home.